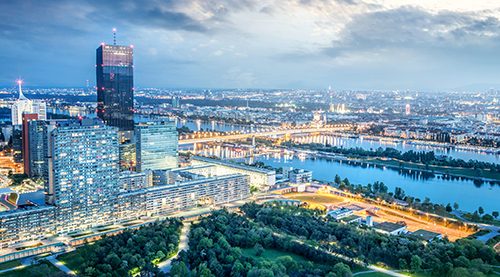 After looking into recent trends in the enforcement of arbitral awards, we will witness a controversial Oxford style debate on the Prague Rules in a relaxed and informal setting. The lively discussions triggered by the debate can be continued over drinks. Oxford Style Debate on the motion “By 2030, the Prague Rule will have replaced the IBA Rules in most Continental European international arbitration.“ (Debaters: Ondrej Cech, Dentons; René Cienciala, Havel & Partners; Désirée Prantl, Freshfields Bruckhaus Deringer; Dimitra Tsakiri, Knoetzl; Moderator: Rostislav Pekar, Squire Patton Boggs) NB: The positions adopted by the debaters do not necessarily reflect and may in fact even be contrary to their personal views. The debate is concluded by a public vote. The official event will be followed by drinks. Trains from Vienna to Prague take less than four hours and depart almost every hour. We recommend you take the one at 13:10 which brings you to Prague Central Station at 17:07. From there it is a 6 minutes cab ride to the event location Anthill. Book your room nearby, e.g. at Clarion Hotel Prague City 4* (EUR 85; 5 min walking distance), Hotel Ametyst Praha 4* (EUR 98; 6 min), or Le Palais Art Hotel Prague 5* (EUR 126; 8 min). As always, the Round Table is free of charge. To facilitate organization, please register by using the "Register" button above.